Fairfield Community High School students will be performing “Bye Bye Birdie” later this month as their yearly play or musical. Performances will be held on April 26th and 27th at 7 p.m., as well as the 28th at 2. Tickets will be given away later this month on WFIW, and they may also be purchased at the high school. The cost is $10 for adults and $8 for students. Albion Equipment Company, Inc. will be closed on Monday, April 8th, due to the death of its owner, Charles “Chip” Moore. It will reopen on Tuesday at 7:30 a.m. The Fairfield Park District is accepting lifeguard applications for the summer season. Applications are available in the law office of Jay Fyie at 115 NE 3rd Street or at the Park Maintenance building at 416 East Johnson Street. Applications are due by April 10th, and the lifeguards will be hired at the April 11th Park Board meeting. 27-year-old Kevin E. Thomason pleaded guilty to a count of reckless driving Tuesday in Wayne County Circuit Court. Thomason was sentenced to one year supervision and was ordered to pay $1,248 in fines and court costs. Several other counts against him were dismissed. 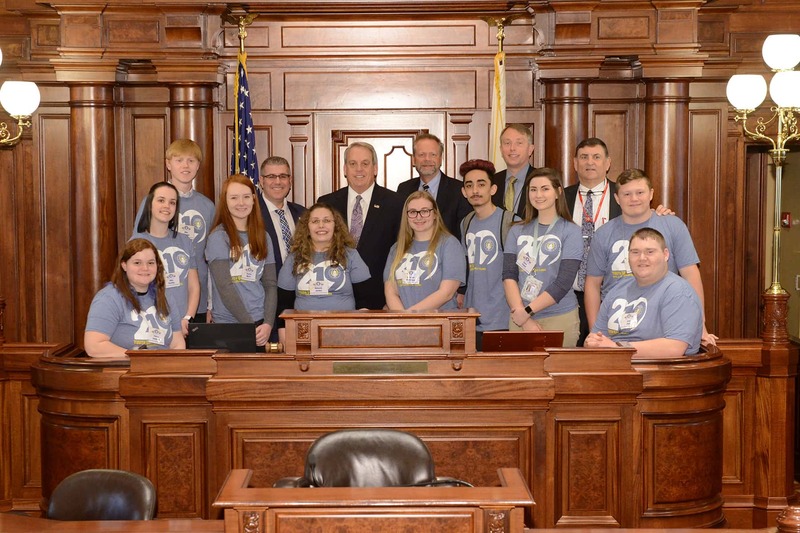 Dozens of students from across the state visited the Capitol yesterday as part of the Illinois Electric and Telephone Cooperatives Youth Day. State Senator Dale Righter welcomed a number of groups from his district to the senate floor, including students representing Wayne-White Counties Electric Cooperative. A 14-year-old boy who said he recently escaped from two kidnappers in Ohio told authorities he is from Illinois. The teen identified himself as Timmothy Pitzen, who disappeared from the Rockford area in 2011 after his mother apparently took her own life. Authorities have told the Pitzen family very little, pending more information in the case. The Greater Fairfield Area Chamber of Commerce, TrustBank, and University of Illinois Extension are sponsoring Business Reboot programs each Thursday morning in April, beginning today. The event will run from 7:30 to 9 at Bob Boyles Hall on FCC’s campus. Topics include how to prepare financial documents and how to effectively use social media and traditional marketing. The Wayne County Farm Bureau has awarded 12 county 4-Hers with a 2019 4-H Project Grant, totaling $1,694. Each recipient is required to submit receipts of their project purchases before they receive their grant money. Photos of the 4-Hers will be posted on the Wayne County Farm Bureau’s Facebook page. 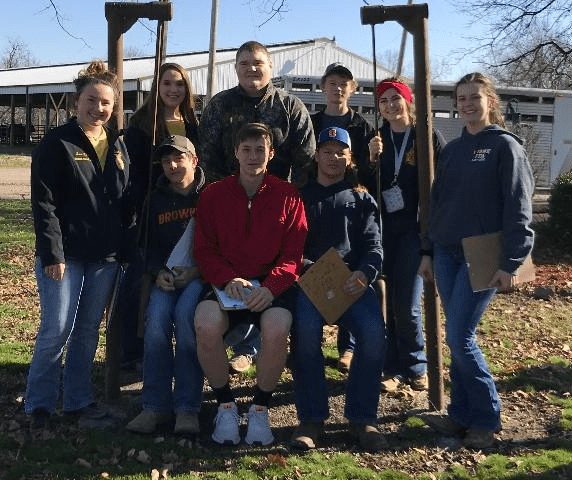 The Cisne FFA Livestock team took 2nd place in Section 23 competition recently. Sara Timm and Eli Hosselton placed fourth and fifth overall, respectively. 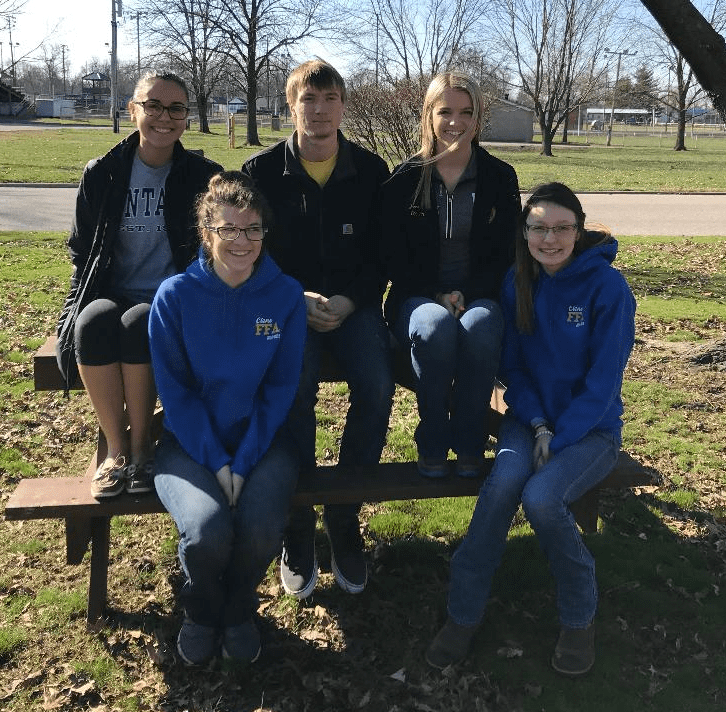 The Cisne Horticulture team took home 3rd place in an event held Tuesday, as well. Kaley Konopasek, Jenna Atteberry, and Kylee Rucker each finished in the top ten individually. Frontier Community College will offer a one-day Basic Automotive Maintenance class for women next Saturday, April 13th. The class will meet from 9 a.m. to noon in the Workforce Development Center. Instructor Ben Morgan aims to teach students how to change a tire and otherwise prepare themselves for emergencies. The Illinois Chamber of Commerce is standing behind an Illinois House proposal to boost funding for overdue road and bridge repairs. The organization would like to see registration fees for electric vehicles tripled and a 25 cent boost to motor fuel tax, provided the legislation eliminate sales tax on fuel. The current sales tax, which the organization calls a tax on a tax, is five percent. Geologists at Southern Illinois University are asking Illinois elementary and high school students to name its three protoceratops hatchlings. The dinosaurs are high-end replications of real fossils found in Mongolia. SIU will reportedly contact schools around the state to invite classrooms to submit their name suggestions, and the deadline is September 13th. SIU students will choose the winning names. River stages as of this morning: Little Wabash, east of Fairfield stands at 22.80 feet, above the 17 ft. flood stage. Meanwhile, the Skillet Fork at Wayne City has a reading of 6.16 feet (flood stage is 15 ft.). The Little Wabash below Clay City is at 20.27 feet (flood stage is 18 ft.).